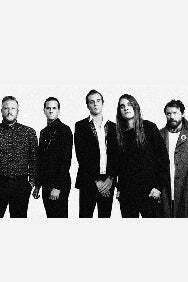 We do not curently have theatre tickets available for The Maine. This could be because we have simply sold out or it could be that this show is no longer running. The information on this page remains purely for historical and informational purposes. Since then the group have released four more albums, the latest being ‘Lovely Little Lonely’ which debut at #32 on the Billboard 200. The album is a timeless piece from the rock band, with perhaps their best songs yet.